US Gloss Dark Black Smoke Headlight Taillight Fog Light Tint Film Vinyl 16x60"
Car Headlight Tint Film Taillight Vinyl Wrap Fog Light Dark Black 16" x 60"
Gloss Dark Black Car Headlight Taillight Fog Light Tint Film Vinyl - 16"x 48"
1989 TOYOTA 4RUNNER. 1988 TOYOTA 4RUNNER. 1987 TOYOTA 4RUNNER. 1988 TOYOTA TOYOTA PICKUP 4WD (1979-95). 1987 TOYOTA TOYOTA PICKUP 4WD (1979-95). Trending at $31.91eBay determines this price through a machine learned model of the product's sale prices within the last 90 days. Model: 4 RUNNER. 4 RUNNER 2003 -2005 L. Manufacturer: TOYOTA. LH, headlamp assembly, two small scratches on left edge, minor stress marks, mounts good. Many Late Model radios, computers, and modules are designed to work in conjunction with your car's VIN #. Fits 2015-2019 Toyota 4Runner. 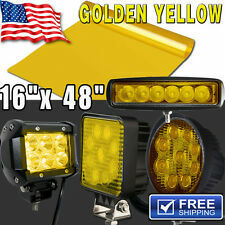 1 Pair (2 PIECE: 1 Left and 1 Right Side) of Fog Light Overlay Film (YELLOW ). DUE TO UNIQUE CURVES ON FOG LIGHT, YOU MUST APPLY HEAT TO FORM THE OVERLAY ONTO YOUR FOG LIGHT (SLIGHT TUCK INTO EDGES MAY BE NECESSARY). 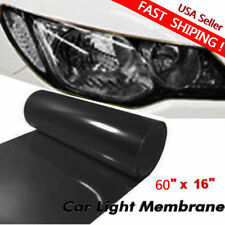 Car & Truck Headlight & Tail Light Covers. Dark Black. Vinyl Wrap Color Simply clean and dry the surface and apply this vinyl wrap sheet over, smooth out the surface and cut off the edge. Very very easy to Use! Model:H4(9003, HB2). Headlight Bulb. 2 x H4 High Power LED Headlights Bulbs. Led Light Bar. Application :LED Headlights Headlamp Lamp Bulbs High or Low Beam. We are professional LED Light Bar / Headlights manufacturer. 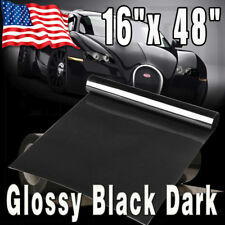 16" x 60" Car Headlight Tint Film Taillight Vinyl Wrap Fog Light Dark Black. 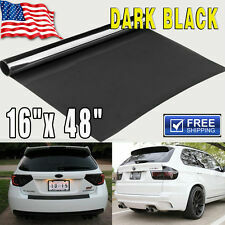 Vinyl Wrap Color: Dark BlackVinyl Wrap Color: Dark Black. 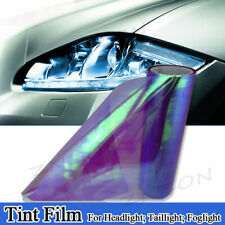 Application: Car & Truck Headlight & Tail Light Covers. Life Span: Simply clean and dry the surface and apply this vinyl wrap sheet over, smooth out the surface and cut off the edge. It is our foundation. FITS PERFECTLY - Fit 1996-2002 TOYOTA 4RUNNER. OUTSTANDING DESIGN - Custom design to provide solid strength to the tail lights allowing plenty of light to shine through. 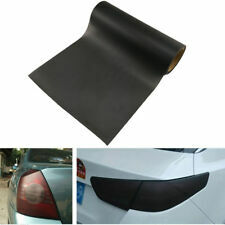 (1) 2pcs tail light guard. 3 MONTH WARRANTY! CONTACT US FOR FITMENT! Plug Type: H4,Hi-Lo Beam. Beam Angle: 360°. Application： Headlamp Lamp High Low Beam. LED type: CREE CSP LED. LED lights than traditional halogen energy, more power. Color Temperature: Pure White 6000K-6500K. Golden Yellow protection vinyl film sheet in glossy finishing for varieties of places such as headlights, tail lights, fog lights, side marker lights, bumpers, hood or even windshield. Golden Yellow. ◆Plug Type: 9005,High Beam,H11 Low Beam. ◆Latest COB chip light source,3 luminous faces (270/360 degree) no blind zone. ◆(4pcs/2 set） 9005 H11 LED Headlight Conversion Kit. ◆2pcs 9005 2pcs H11 LED headlight bulbs. ). Specify your model and year at checkout. BlingLights provides the correct tint protection film that easily installs to the outside of the lenses similar to a sticker for permanent protection. BlingLights includes everything you need with step-by-step photo directions to do the installation yourself in less than 45 minutes on average. Plug Type:H11(H8/H9). Headlight Bulb. 2pcs H11 LED headlight bulbs. Usage: headlights,fog lights. Led Light Bar. We are professional LED Light Bar / Headlights manufacturer. All product are factory direct sale, best quality at best price. 3M Scotchgard Pro Series film specifically pre-cut for the 2014 to 2016 Toyota 4runner headlights. Help protect your expensive headlights from rock nicks and bug splatter which leads to lens fogging. It fits:TOYOTA : 4 RUNNER : 1995-1997. It is 100% made by the manufacturer TOYOTA! Smoke Out, Redout, Amber Orange, JDM Yellow, HID Blue. Our vinyl is high quality high performance 7 years transparent colored PVC film. Add nice JDM look to your vehicle and protection to your headlights. Plug Type: H11 Low Beam/Fog Light. 2x H11 LED headlight bulbs. Usage: headlight. These bulbs will work with most vehicle's computer system without error. Color Temperature: Pure White 6000K-6500K. We are professional LED Light Bar / Headlights manufacturer. ◆2 x 9005 LED headlight bulbs. Headlight Bulb. ◆Application: Headlight/High beam or Fog Lights. Led Light Bar. ◆Led Power:1800W/pair. ◆Light Color: 6000K-6500K White. We are professional LED Light Bar / Headlights manufacturer. 4 RUNNER 88-95 6 cylinder. TOYOTA PICKUP 88-89 6 cylinder. TOYOTA PICKUP 90-95 6 cylinder (3VZE engine). C Grade - The third level quality part. B Grade - The second level quality part. It is of average miles and normal condition for its age. Model:H4(9003, HB2). Beam Type:High beam & Low beam. Beam Angle:360°@high beam,270°@low beam. Headlight Bulb. 2 x H4 High Power LED Headlights Bulbs. Application :LED Headlights Headlamp Lamp Bulbs High or Low Beam. LED type: CREE CSP LEDs. CSP LED Bulb ,Each Bulb Total have 4pcs CREE CSP LED Beads. 2 x H11 High Power LED Lights Bulbs. Beam Angle: 360°. Application: Low Beam Head Lights,Fog Lights. Beam Angel: 360 Degrees. 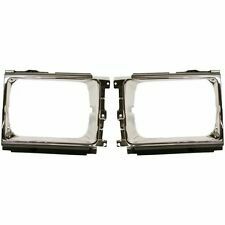 8162189140 Genuine Toyota LENS AND BODY, 81621 - 89140 87 4Runner Pickup. Condition is New. Shipped with USPS Parcel Select Ground. 1ft x 24ft (12"x24") Amber Orange head / Tail light tint overlays. Our vinyl is high quality high performance 7 years transparent colored PVC film. Add nice JDM look to your vehicle and protection to your headlights. Plug Type: 9005,High Beam,H11 Low Beam. 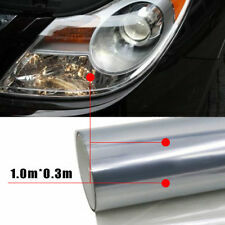 （4pcs/2 set） 9005 H11 LED Headlight Conversion Kit. Beam Angle: 360 degree. Usage: Headlight. LED lights than traditional halogen energy, more power. Heating temperature is low, protect the car. Pro Comp 87264 Wade Headlight Covers Smoke. 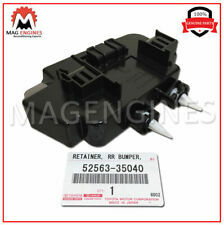 Part Number(s) 87264. TOYOTA 4RUNNER 96-98. COLOR IS SMOKE. Functional Condition A.